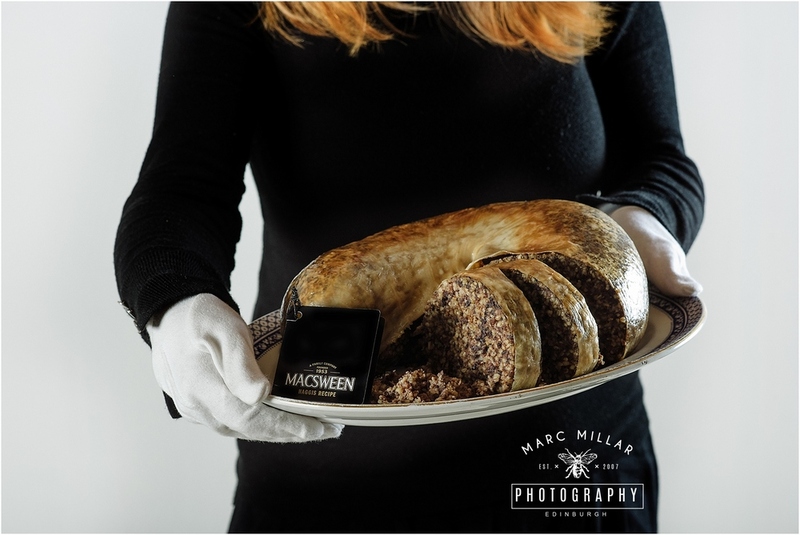 Last week I had the pleasure of photographing the World's most expensive Haggis. With a price tag of £4,000, the beloved fixture of any Burns Supper has been handcrafted to the Macsween family recipe but with an infusion of rare ingredients which have been sourced from Scotland and the far corners of the globe. The list includes Highland Wagyu beef, raised on a Perthshire farm where all cattle has its own name; white summer truffle from France, considered ‘diamonds of the kitchen’ by chefs the world over; and black pepper (tellicherry) from India, which can only be grown at an altitude of 2,000-3,000 feet above sea level. For extra decadence, the 4kg haggis comes with edible 24 carat gold to sprinkle on top and is presented in a handmade wooden cask. This was not the easiest job to make look nice, although the Haggis tastes amazing - it is not the prettiest creature in the world to photograph.